The Sony A7R III has been out for quite a while. Generally, it’s a superbly popular camera with excellent reviews. 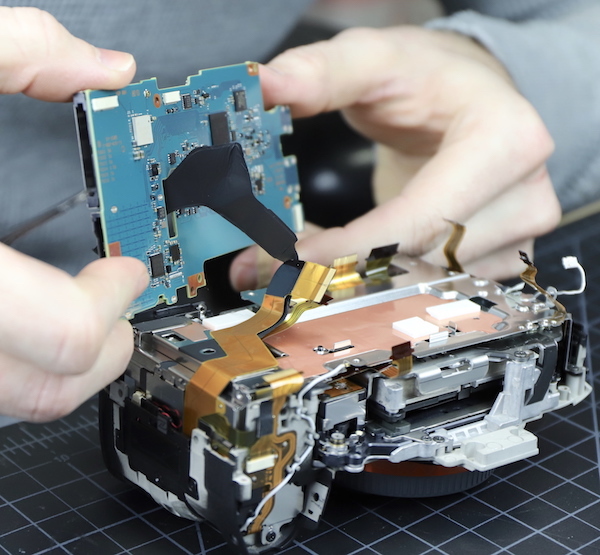 We were busy moving to a bigger office, and then catching up from moving when it was released, so doing a teardown wasn’t high on our list of things that needed doing. And the good folks at Kolarivision did an excellent teardown, so we didn’t feel any need to rush. We’ve dealt with a number of water damaged A7 cameras in the past and have a bit more knowledge of where the leaks have occurred, so we wanted to look for ourselves. Plus, we wanted just see all the complicated goodness inside. Now that things have slowed down we decided to take a look. This will end up being a useful post for those of you who need to venture out into the elements with your camera. Sony has, as they said, markedly improved the weather resistance on this camera. They also left a screaming ‘leak here’ gap in the sealing that you can probably address yourself. Before we start, let’s look at the obvious openings. First is one of the things we’re enthusiastic about; the memory card door. Yeah, I know, we have no life. But the new design incorporates a latch which is a very good thing. The old design had you pushing on the leatherette over the door to open it which both stressed the hinges and wore out the leatherette. There’s also nice, thick weather sealing all around the inside of the door. I won’t show you the port doors; when they’re closed, they provide a tight seal. When they’re open, they don’t – because ports. You don’t need a tear down to see that. The battery door is remodeled and seems to have a bit of extra support which is a good thing. It has nice thick weather sealing (red line) everywhere but the latch and hinge area. 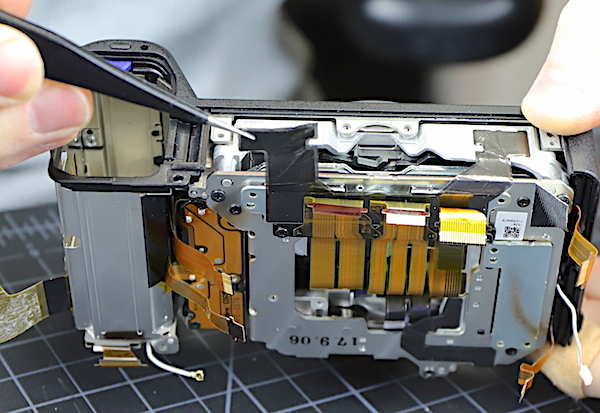 The battery door is an area where we’ve seen leaks on the A7sII. And yes, we double checked, and there’s no seal on the camera side of the door. So significant improvements on the memory card door, but not on the battery door. Let’s start with the bad part and get it out of the way, because other than that they’ve done a superb job sealing up this camera. We took out the screws holding the bottom makeup plate. The metal tripod mounting plate lifts up next, it’s nice and sturdy with cheese-plate holes to keep it light and let the water flow unimpeded into the camera. Never had this happen? Lucky you. If it ever does, I’d suggest following our simple steps to this point and shaking the piece out of the camera. No good can ever come of having a piece of metal rolling around in an electronic device. No good at all. Speaking of where that metal piece could go let’s look at what’s under that metal plate. There are two black pieces of heat transfer tape. In between those you can see the flat plates of the sensor / IBIS assembly. The black above those is the imaging chamber and shutter assembly. So if that metal top gets popped off, or water comes in, this is The Highway to Hell, straight into the heart of the camera. In case you can’t tell, I’m pretty unhappy with the bottom design of the Sony A7rIII. 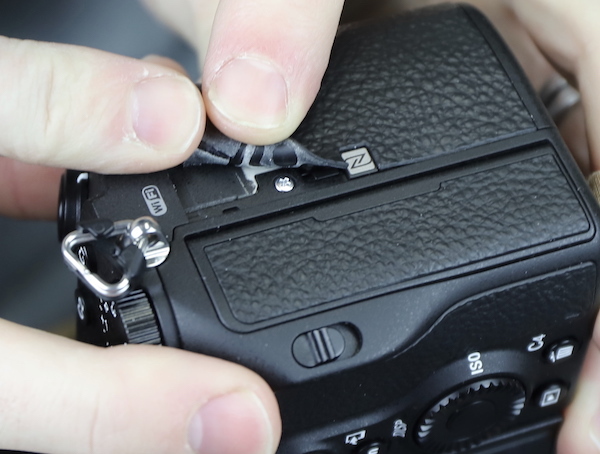 There’s absolutely no protection or improvement over the Sony A7rII. Now the case designers (and most of you) are probably aware that rain falls down from the sky onto the top of the camera. The repair people (like us) are aware that people set cameras down and puddles occur; also splashes go up, and sometimes cameras are held in portrait mode. In other words, a liquid will find your weakest point. There’s good news coming, though, the rest of the disassembly shows careful and thorough water resistant measures. 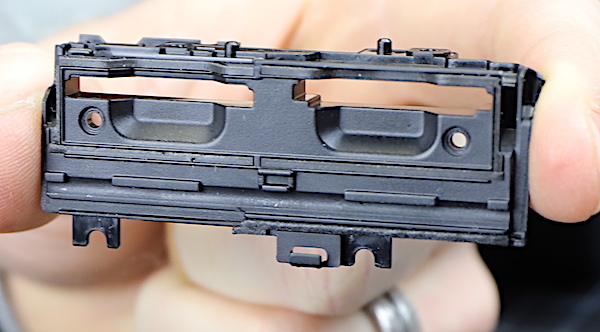 The A7R III bottom plate engineering team apparently didn’t get the memo, but I bet the A7s III will have some sealing down here. The next order of business is taking the back off. Right from the start, we could see some changes and improvements had been made. 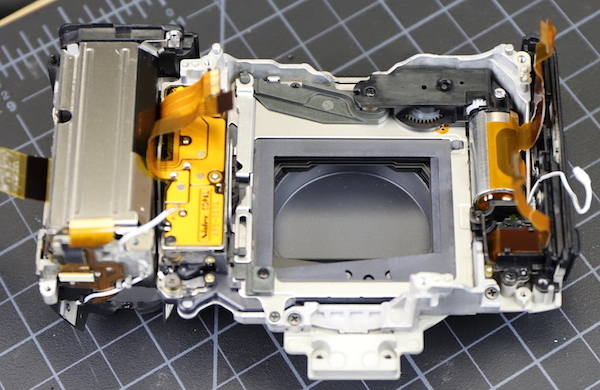 For one thing, the back panel is a single assembly in this camera; previously the LCD and viewfinder areas were separate. That’s a good thing for disassembly and a good thing for sealing. 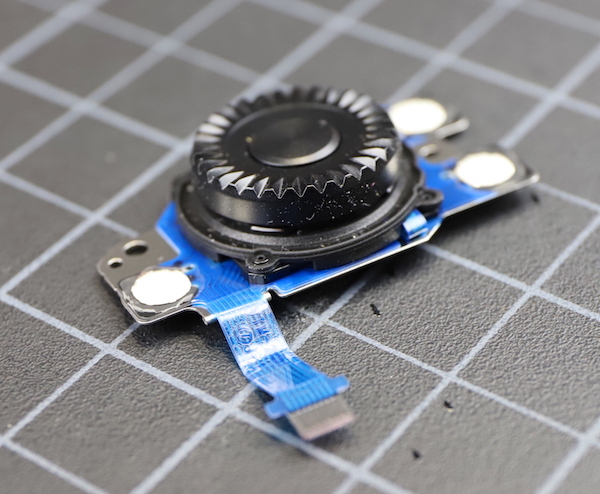 We removed the pop-off eyepiece and diopter adjustment wheel. There’s a very nice thick rubber seal under the wheel. There are several visible back screws, but removing them didn’t let the back come off. 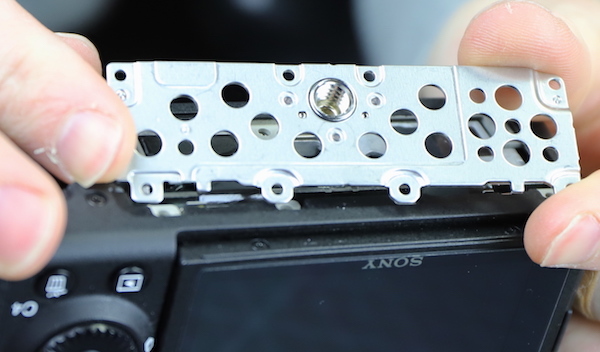 Sony likes to include a secret screw or two in all their cameras, and this one is no exception. 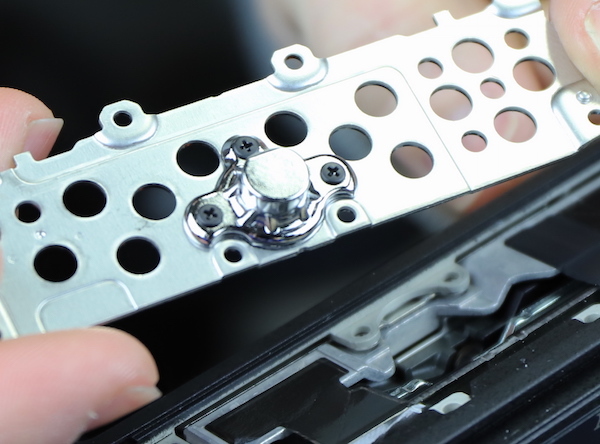 There’s a screw holding the back on at the top of the battery compartment. And in a new move for Sony, there are screws under the grip leatherette. This is normal in SLR cameras, but not so much in mirrorless. 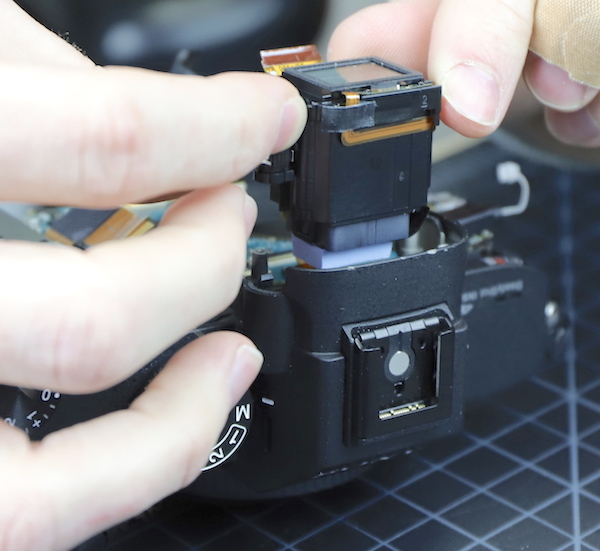 With all the screws finally removed the back comes off, with a long folded flex connecting the viewfinder and back-panel buttons to the main PCB. 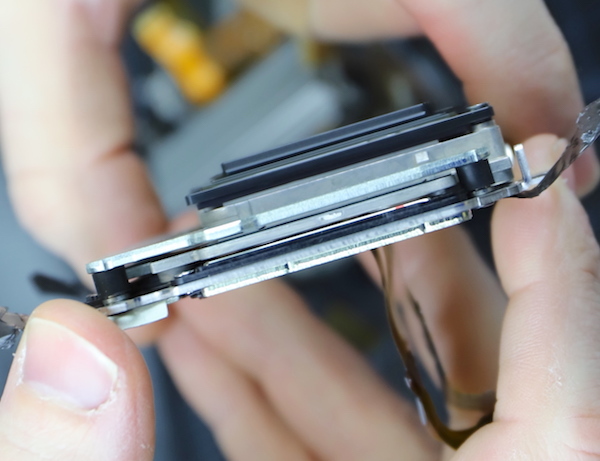 Notice the gray piece at the bottom of the flex – that’s a weather seal protecting the opening where the flex travels to the LCD. It’s a nice thick piece of foam that should protect very well. The I/O (input-output) port panel comes right out when the back is off. Note again there is no weather sealing around the panel or around the ports as they pass through the panel. So if you’re in bad weather don’t use the ports and make sure the caps are all closed. The caps are good weather protection, but they are the only weather protection in this area. 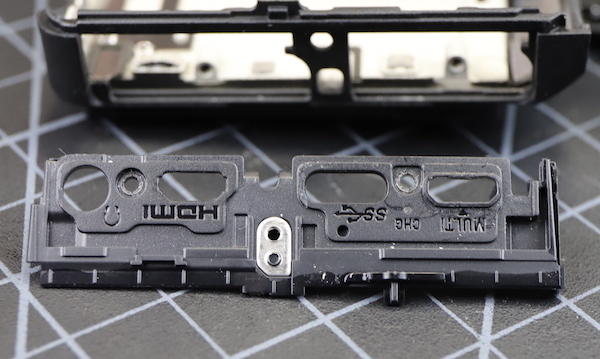 On the other side, the inner card door plate takes a little coaxing to snap out. You can see the thorough weather seals around the card slots. 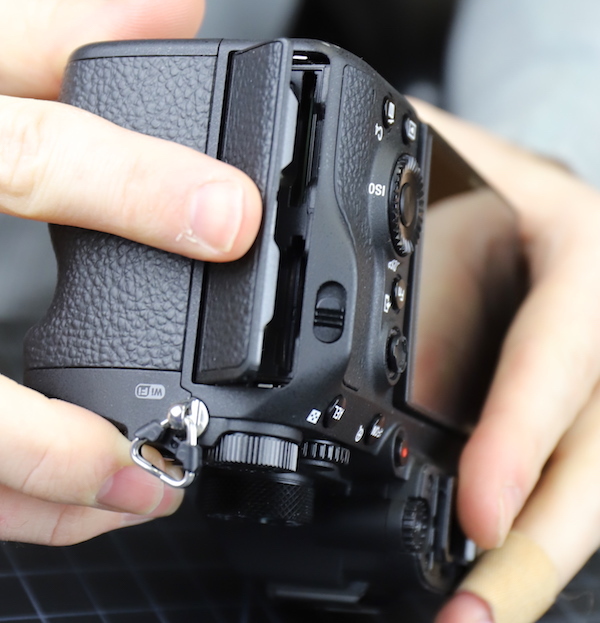 There is no sealing between the plate and the camera body, but the grip rubber overlaps that area, and it’s a pretty tight fit, as we mentioned. Removing those metal button assembly covers was a rather involved task; they’re all interlocking. I’m not going to show you the 27 color photos with circles and arrows and a paragraph explaining each step; I’ll just say don’t try it at home. Once we got them off, we could see a lot of care was taken in making the back of the camera weather resistant. 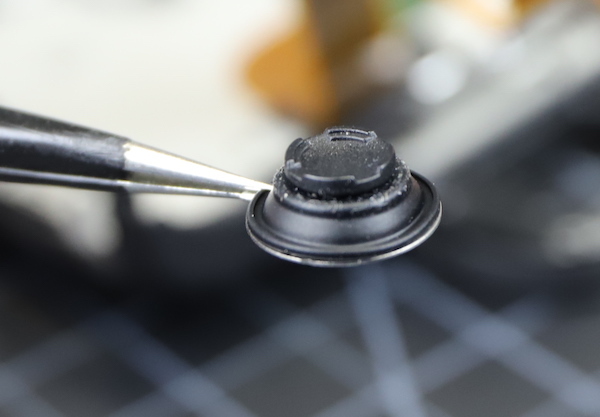 The joystick button, for example, sets into the rubber cover that you actually touch. That cover is tightly placed in a rubber seal vulcanized to the back of the camera. The scroll wheel does come all the way through the back cover but has rubber seals where it mounts, and they are held down very tightly. Again, I can’t see any water coming through here. We love the modular assembly of the dials, but it does allow one untoward possibility. If you get distracted while reassembling all those buttons and metal plates, you get to take everything apart and do it again. Even the small push buttons are entirely rubber sealed. Way back in the day, we took apart an A7R and remarked that it was amazing how simple and how few pieces it had compared to a DSLR. 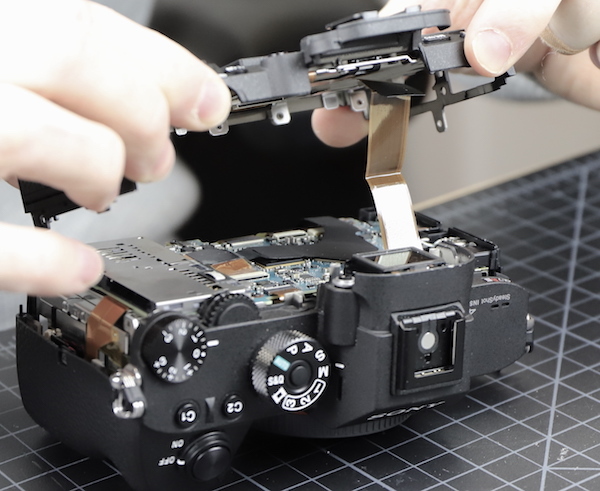 Let’s take a second just to look at the back panel assembly of the A7R III and see how much more complex it is. 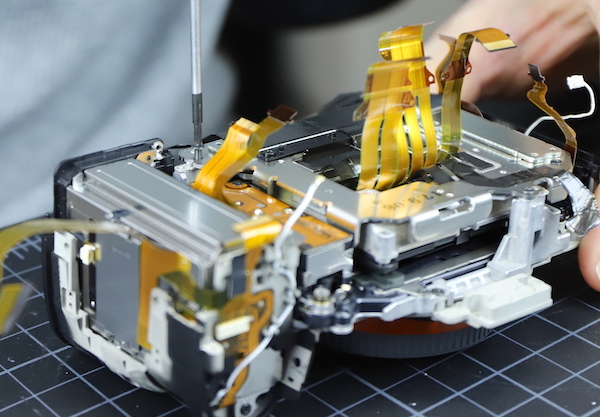 The entire A7R had 29 screws of three sizes. 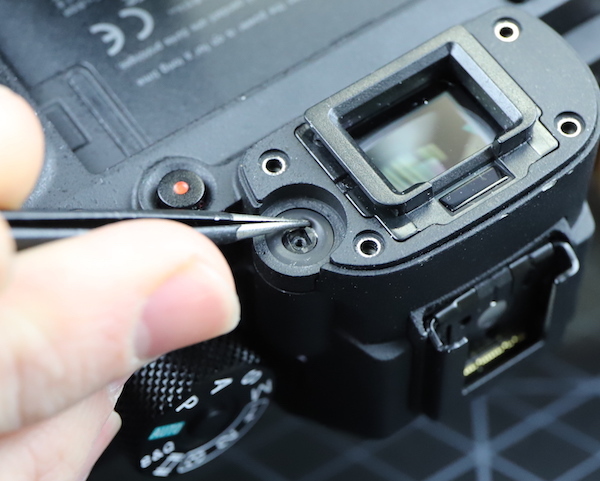 The back panel alone, on the A7R III has 21 screws of four sizes. 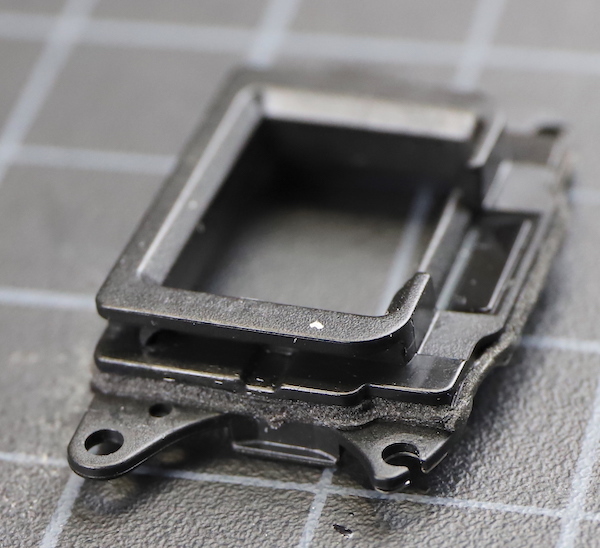 The piece that holds the viewfinder in the top assembly has complete sealing around the edges. As does the viewfinder itself. 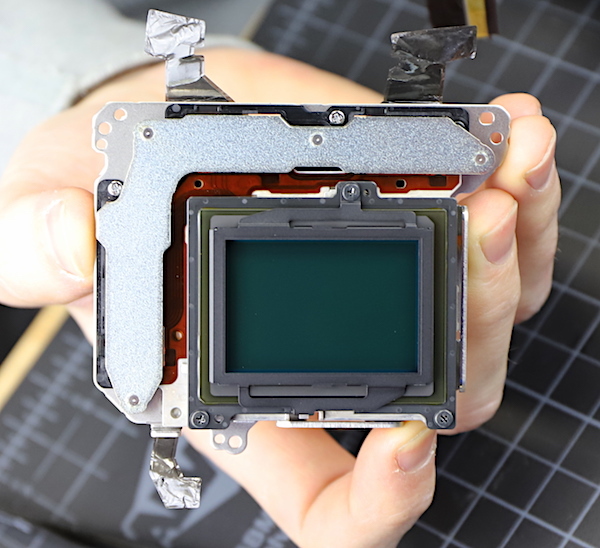 With that covering piece removed, the viewfinder slides right out. The usual obvious screws and not-so-obvious screws were removed (one was down behind the viewfinder ) and the top assembly came off. There was impressive weather sealing around the scroll buttons. We didn’t disassemble the top further – it’s a pain to do and for repairs, the part is ‘the top assembly’. In retrospect this may have been a mistake; we didn’t look at how well the scroll wheels were sealed, just the area around them. Next was the routine of unhooking flexes and removing screws to get the main board off. Back in the day of the A7R, we loved the simplicity and direct layout of Sony cameras. Whether it’s the increased complexity, or the addition of some ex-Nikon engineers to their team (Nikon cameras are marvelous things, but their engineers never take a straight path from A to B when they can find a way to wrap a wire around the entire camera twice) or just the fact that things are so much more complex, that elegant layout is long gone. Here we have flexes going in every direction, including one that is about 7 inches long winding up from below through a slot in the board and taking four turns and giving off a tributary before it plugs in. Of course, it makes no difference in how well the camera works, but the newer Sony cameras are starting to look like their software menus – complex and what you’re looking for isn’t readily apparent. A look at the main board shows that, with the exception of the microphone jack, all the ports are soldered to the board, so if you tug on one a bit too hard, you get to buy a new main board. Same with the memory card readers. 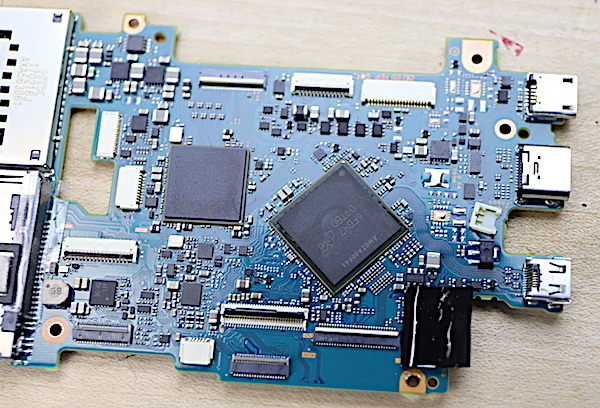 I get this – it allows this all to be assembled by machine, but mainboard replacements are a lot pricier than a port or card subassembly replacement. 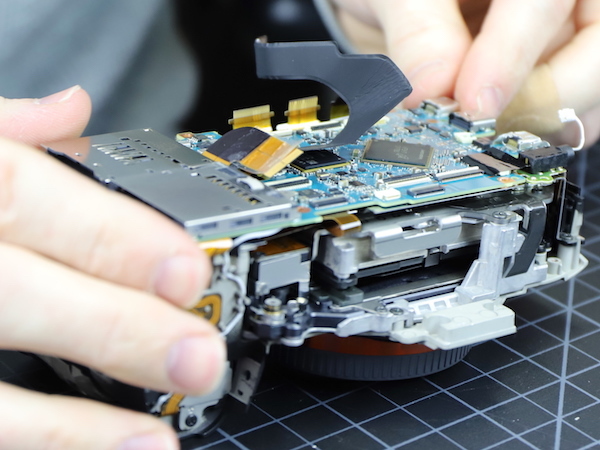 Now that the board is off, we’re really close to the working parts of the camera. You can see a shiny copper shield, as long as Aaron holds The FlexRiver out of the way. 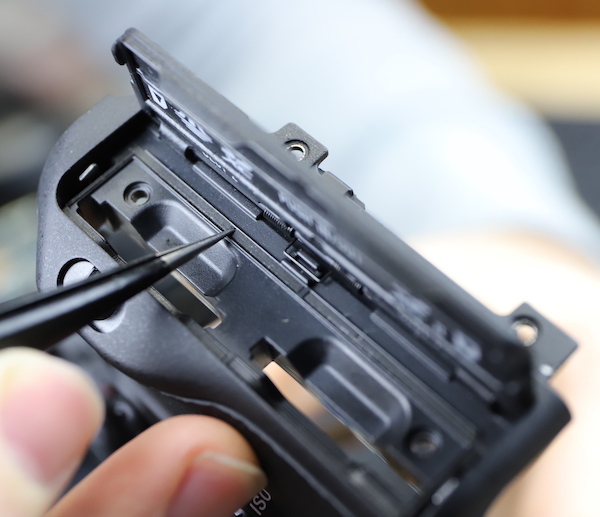 We’re looking at the back of the sensor / IBIS assembly, and you can see, almost straight down from Aaron’s thumb, one of the three mounting points of the assembly to the chassis. Here’s a close-up of the mount. 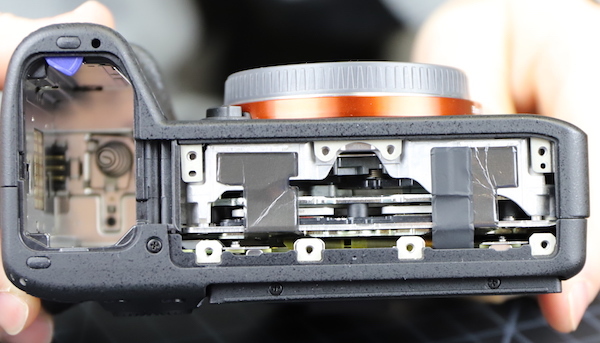 Each of the three points is shimmed to align the sensor with the lens mount, so there’s hopefully no tilt between the two. This shim is .45 mm. The shield plate comes off next. Underneath it is the date-time-menu save battery. I think it’s safe to say you won’t be replacing it at home when it goes dead. 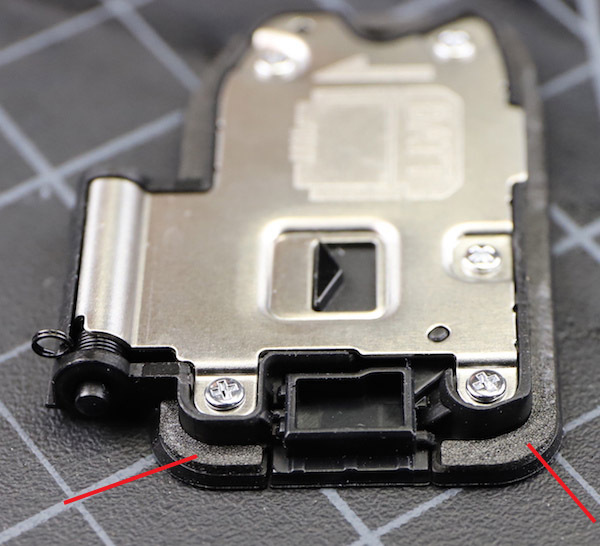 Now we have a direct look at the back of the sensor / IBIS assembly. Looking at the flexes gives you an idea of the amount of information transfer that’s going on. There’s some heat transfer tape going over to the camera chassis since that amount of transfer is undoubtedly going generate a bunch of heat. For those of you who like to keep up with who makes what, a close up of the shutter assembly. Now it’s time to take out the three screws that hold the sensor assembly to the chassis. Note to those of you following along at home: make sure you keep the shims identified by location. This set ranged from .45mm to .05mm. If you put them back wrong, your pictures will be crooked. A closeup gives you an idea of how thick the shims are. 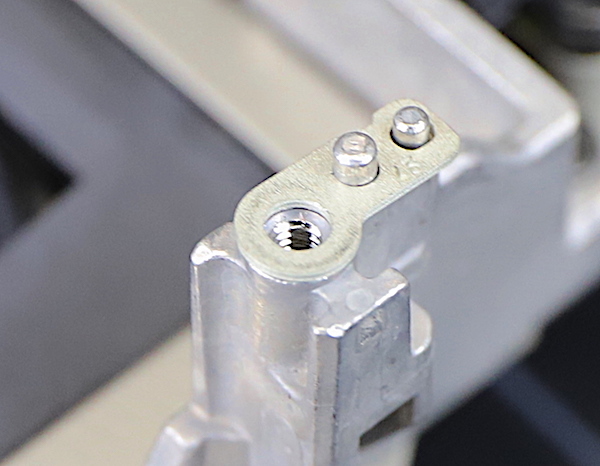 Once the screws are out the sensor / IBIS assembly lifts right off. The actual sensor is dwarfed by the stabilizing system behind it. From the side, you can see the two main stabilizer plates which travel in offset arcs so the sensor can be moved in any direction. The amount of sensor movement that an IBIS has always surprises me. I mentally picture it moving a fraction of a mm, but the range is far greater than that. 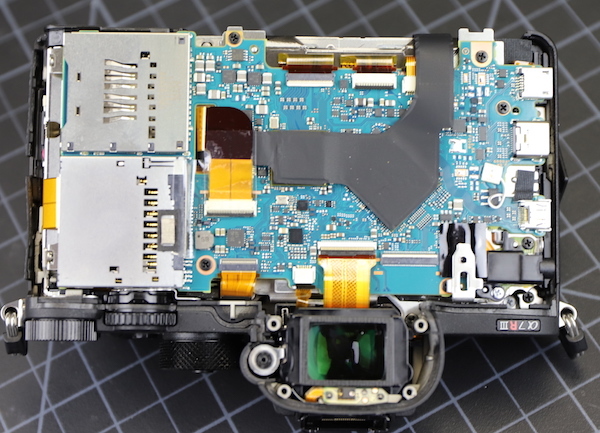 What’s left on the table is the back of the front, with a sensors-eye view of the back of the camera cap. We actually did disassemble the battery compartment, which has several sensors in it, but it’s boring, and this post has gone on long enough. We’ve seen what we came to see. The water challenge test done by the good guys at Imaging Resource provides further evidence that this is so. They expressed some concern about the top right-hand dial, and while we saw good seals under the dial, we didn’t disassembly the dial itself. And, of course, the port covers have to be snapped shut to keep water out. If you’re out in weather and just have to use a port, then you’d better do what I do and put the camera in a plastic bag. It’s not how great is the weather sealing at the weather sealed places. It’s how bad is the weather sealing at the most unsealed places. One thing I would like to emphasize for the fun of it. The difference in complexity between the A7R and the A7R III is really quite amazing. If you have a minute, go over to that old blog post and do a quick comparison. Hi! Thank you for this amazing article. I can’t stress enough how much it is useful! It is literally a life saver. I have same concern about A9 as Carlos has. I use this camera for wildlife. I didn’t put it into pouring rain or heavy snow storm yet but more insight would be great. I wonder if LensRental got some “rain drown” A9’s. I wish SONY is more informative about what is recommended do and don’t. Canon and Nikon are pretty clear about what their top flagship cameras can stand. But if SONY marketing A9 as a Sport photography camera, it shall stand some rain since sports (especially winter sports) can be pretty messy. I already use a battery grip to stop water seeping in from the bottom, and brush water off of any flat surfaces on the camera. Any help would be greatly appreciated! Hi Roger! I am waking up too late to the magic of your team’s write-ups and I am having one of those “enlightened” moments. Reviving an older thread I know but stumbled across this one while researching for accessories for my newly ordered A7Riii and got so nerded out that I couldn’t sleep lol!! I want to know your thoughts on the VG-C3EM Vertical Grip. 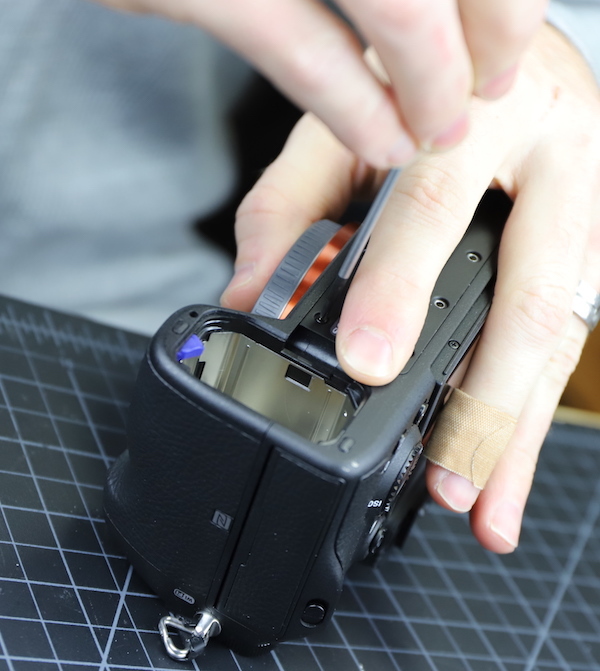 The Sony grip for the A7Riii does not fit properly ln my opinion. 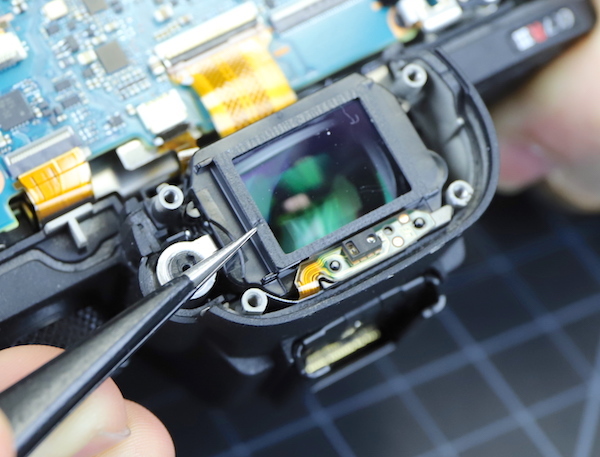 There is a rubber gasket at the base of the shaft that goes into the camera, and this gasket does not allow the grip to fit snugly against the bottom of the camera. This leaves a small gap between the camera and grip that you can see light peaking though if you level it at the right angle. I do not see this issue on the A7Rii and I am about to send my second one back but perhaps will wait for your thoughts. Hi Roger! 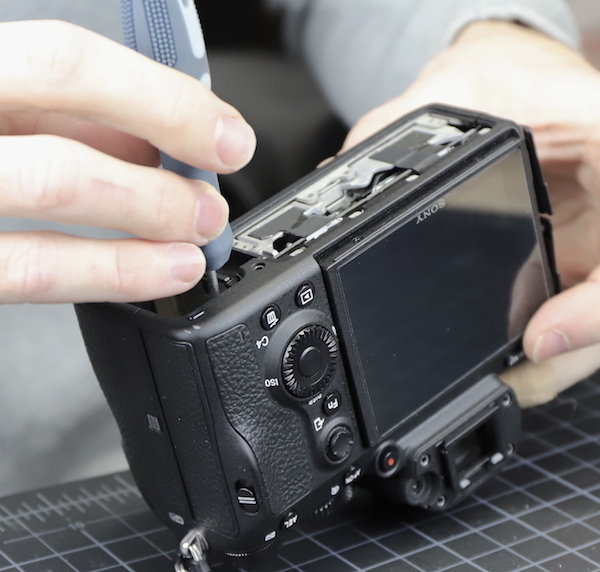 Could you perform a similar tear down for the immensely popular Sony a7iii? Probably a good market for someone to produce an L-Bracket to provide both Arca Swiss connections and weather seal the bottom. 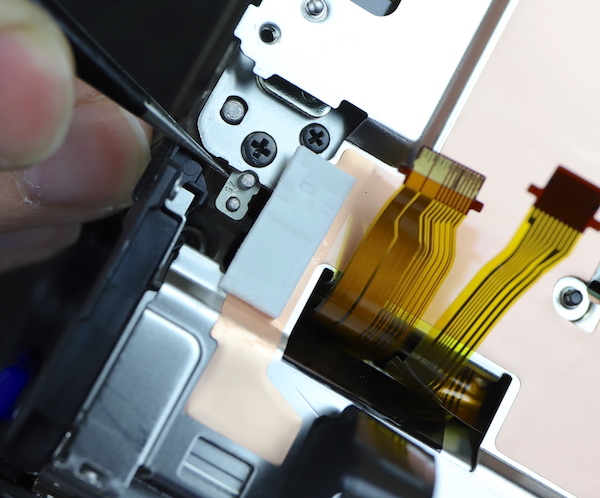 The battery door would be the first problem area as it needs access as well as protection. Maybe a snap on/off or some other quick access scheme. I’m sorry, but the thought of your breath making its way to the sensor is a bit ridiculous, for many reasons. It it MUCH more likely that there was an extreme temperature differential (between lens elements/sensor and the ambient air) when you started using your camera therefore causing them to fog. Even if your breath could *somehow* make its way to the sensor, it wouldn’t retain enough heat or humidity at that point to cause fogging. It was your environment, and it most likely wasn’t due to the weather sealing. We who live in the south deal with this all the time during the summer. Your camera is sitting inside at 70 degrees and you want to go outside to shoot a photo when it’s 98 degrees at 100% humidity? Well everything is going to fog up, immediately. And it’ll stay that way for quite some time until the temp differential isn’t so extreme. Hell, I can’t remember what year my kids were born, can’t remember what day it is half the time. Not quite. I was detained by Officer Obie myself. 100% sure that weak bottom design was made on purpose. Roger, thanks as always on these tear downs. Sony should pay you for finding weaknesses that their engineers should have handled. I find your results to be mildly unsettling. I use both the Sony battery grip and the RRS L bracket; which means my battery door is no longer attached to my camera. Granted it is reattached to the RRS L bracket and they have a fairly decent attempt at sealing the battery opening. Obviously if I’m using an L bracket for landscape photography, I regularly have my camera on its side shooting portrait orientation. I’ve done this through rain and sleet, and now I am thinking I was extremely lucky. I shoot all G Master lenses (except my 90 macro f/2.8 is a G OSS), so between Sony’s claim of improved weather sealing and the G Master lenses being weather sealed, I have just pushed through wet conditions like a boss. But after this, I will be keeping the camera covered until the shot is taken (looking into the Liteflex Silver backpacking umbrella). I use my a7R3 for everything and could not be without it. Now I am concerned, very concerned. I also shoot in some very humid conditions, and what you are exposing would indicate to me that I may see humidity make it inside the camera through the base. Not good! Any way, on a lighter note, I wanted to personally thank you. You are always very thorough and have really great insights into engineering, design, and usage patterns. Seriously, Sony should consider putting you on the payroll, and assigning several engineers to you, to further improve upon their camera’s. Your knowledge and experience of what works, what doesn’t work, what breaks, what doesn’t break, etc would be invaluable to an engineering team. Also, besides just great information, I find you to be hilarious. I always bust out laughing reading your blogs, but this one had me bust out 6 or so times. I tried to explain to the people around me after the third out break why this was funny, but they didn’t get it. But I find your remarks a joy to read. Have a great day! Very good point, I use the Peak Design Clutch for hand held combined with the Slide strap. The PD Slide some what exposes the bottom of my camera. Now that I’m aware, I will be VERY cautious. I use both the Sony Battery Grip and the RRS L Bracket too. This REALLY concerns me that my battery door is no longer on my a7R3 AND I shoot 1/3 of my landscapes in portrait mode with the RRS L which has my battery area right at the top. I will definitely be covering my camera setup from now on, I must have been pretty darn lucky so far, because I’ve shot in some nasty rain. THANKS ROGER, for your awesome breakdowns and insights on engineering and optics. I find your work to be top notched and your humor to be hilarious. I usually bust out laughing a couple of times, but this article, I think you got me 6 or 7 times …. lol Have a great day!!! The proof will be in how many fail due to the moisture wicking up into the camera. My guess, those incorrect year designations were to test if you were paying attention or sleeping through the disassembly. In my experience, putting it correctly all back together is when all the skill comes into play. Those unique shim thicknesses would have caught me with a bad case of Dutch-tilt. Does the grip have a weather sealed rubber strip around the join which would negate the need to tape? I keep a supply of shower caps in my bag that I get from hotels. Also use the Opteka rain sleeves. Cheap and readily available. I’ll probably add a few slices of parafilm to my bag too. Thanks for your informative tear-down. I was wondering if you have any thoughts on a good approach to adding a seal to the body bottom. Franck, you win the throwback memory award of the year. Next to Guthrie’s “father-rapers'” I assume! I’m just a humble customer of LensRentals and LensProToGo. 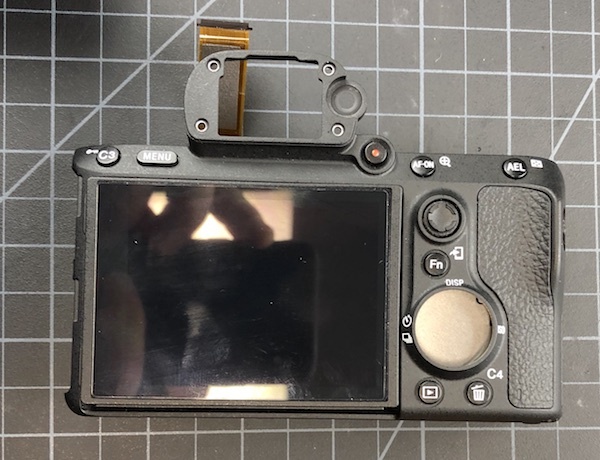 I am in awe of someone who has the courage to disassemble a Sony A7RXX – to me, that would be like standing at the top of an Olympic ski jump, and pushing off. That you could get it back together and functioning should merit a Gold Medal in a new Olympic event. Like Mark Rusted, I treat every camera except my old Nikonos II with great care, carry rain jackets for the camera and lens if I MUST shoot in bad weather. Nevertheless, I love your disassembly blogs. But I would as soon perform self-appendectomy as open one of my Sony bodies. Silicone would make it a watertight seal. Are you guys time travelling? some pictures are copyrightet 2016, others 2018… How come? 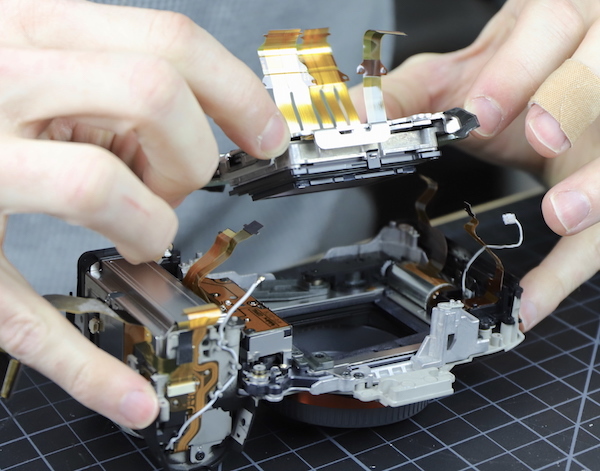 Have you also taken apart the A9? Is it different to the A7r III?